Will American grocery-shoppers buy a traditional Japanese adult beverage in aluminum cans? Steve Vuylsteke, president and chief executive officer of Forest Grove-based SakeOne, thinks the answer is "yes." 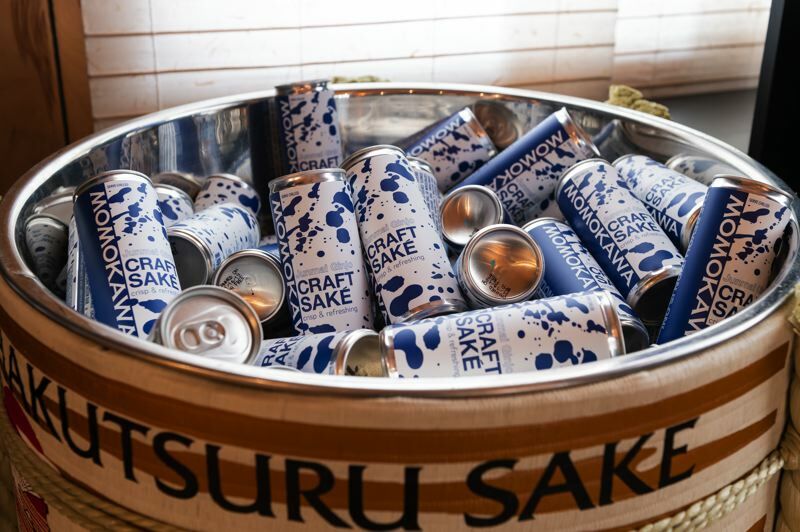 "Particularly with the rapid growth and interest in wine in cans ... it just made sense for us to explore further the idea that, 'Why not put some of our premium sakes in cans?'" Vuylsteke remarked. SakeOne is unique in Oregon. It is the only sakery, or sake brewery, in the state. Several sake labels you may recognize from supermarket shelves or restaurant menus, like Momokawa and Moonstone, are among SakeOne's product lines. Now, for the first time, SakeOne is rolling out two new canned sakes. The first batch has already been shipped off to distributors up and down the West Coast, Vuylsteke said, so it should only be a matter of days or weeks before they start popping up in stores. As producers of what is still considered a niche product in the vast craft beer and wine market, SakeOne faces a couple of challenges. For one thing, Vuylsteke said, "Americans are still pretty uneducated about sake." There are some common misconceptions about sake that Vuylsteke and his team at SakeOne try to correct. One of the big ones is that all sake is meant to be served hot, as it often is at Japanese restaurants. There is considerable diversity between sakes, and the ginjo sakes brewed at SakeOne are intended to be served chilled, Vuylsteke said. And although sake is commonly referred to in English-language media as "rice wine," the ingredients that go into it and the way it is produced is completely different from wines made from grapes or other fruit. "We say it's brewed more like beer, but you drink it like wine," Vuylsteke said. "But sake is sake. It's not either." Another challenge is simply getting American consumers to pick up a product they might not have tried before and aren't sure they will like. In that regard, both of the canned sake products that SakeOne is releasing are more approachable than the larger bottles. 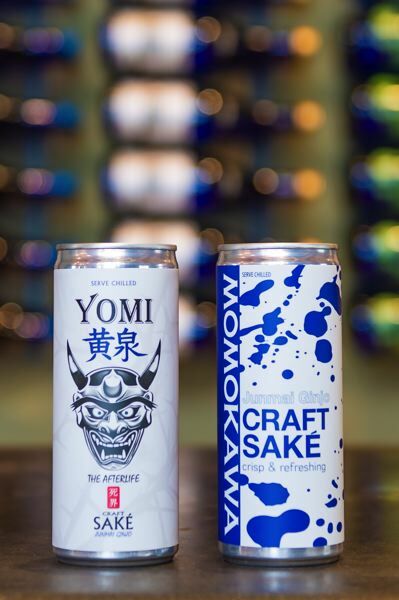 Vuylsteke said both the Momokawa canned sake and the lighter, more quaffable Yomi canned sake will retail for about $5, and at 8 ounces, the cans are sized as a single serving while still being enough to split if desired. "We think it's the right size for sake," Vuylsteke said. The aluminum cans are also considerably lighter and more compact than glass bottles, and unlike the bottles, they're designed so that a consumer can drink them straight from the vessel. "Americans like convenience," Vuylsteke said, laughing. "Americans like portability. And, of course, we like to think Americans like quality." Vuylsteke is a veteran of the Oregon wine industry. 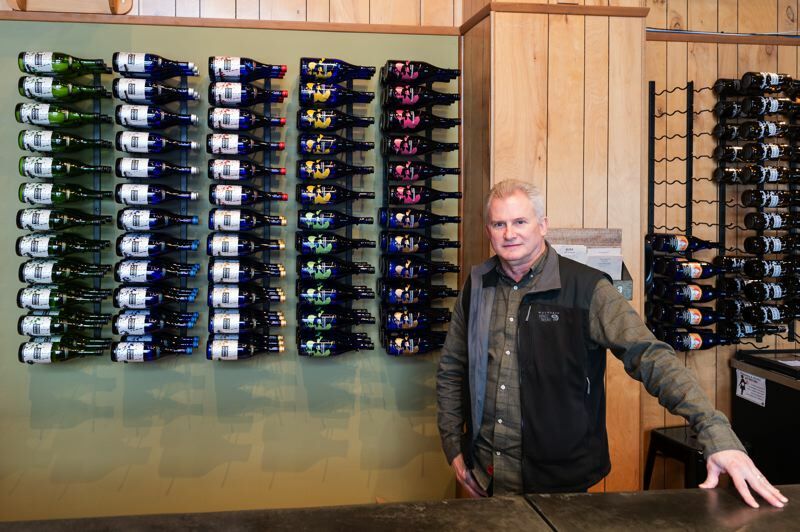 His parents, Ronald and Marjorie Vuylsteke, founded Oak Knoll Winery south of Hillsboro in 1970, one of the first wineries in the northern Willamette Valley. About a decade ago, Vuylsteke said, he moved into craft sake and hasn't looked back since. "Of all beverage alcohol, when you think of sake, sake has sort of a unique place in that not only is it sulfite-free, gluten-free, no histamines ... it's vegan, it's kosher, it has about a third the acidity of wine," Vuylsteke said. "It's much easier on your system. And for people that are looking for any of those things — no sulfites, no gluten, no histamines, no tannins ... I think it provides an opportunity to have a very delicious drink, an alternative to these other kind of standards, if you will." For many Americans, sake and sushi are intrinsically linked, both being menu items at Japanese restaurants. But Vuylsteke said he actually prizes sake as a beverage that can accompany virtually any food. "We're championing sake with fried chicken, sake with barbecue, pizza," he said. "It's very versatile." The two canned sakes that are debuting in the West Coast market are something of a trial balloon for SakeOne — a modest foray into a largely untapped corner of the market. Vuylsteke admitted he doesn't know whether it will work out. 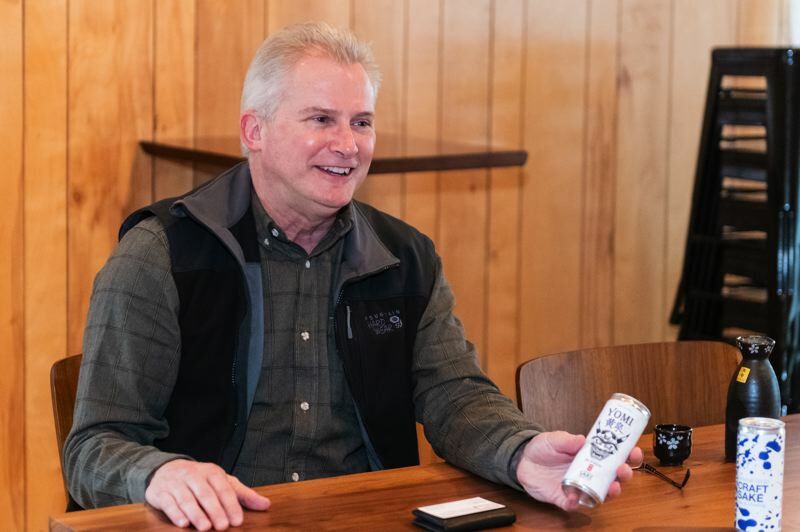 But after seeing how canned wine has exploded in popularity since Tualatin-based Union Wine Co. — you may recognize their Underwood label, which has become ubiquitous in local grocery stores — introduced it to the market in 2014, he is optimistic. "The confidence is pretty high," Vuylsteke said. "This could become a pretty significant amount of our production." For now, Vuylsteke expects SakeOne's canned sakes to mostly appear in the kind of supermarkets that already sell sake in their beer and wine sections — higher-end and specialty stores, but also the likes of Fred Meyer. He hopes that distribution market will eventually expand as more Americans embrace sake. "We've got the availability now to do, like I said, the grab-and-go convenience in single servings," he said. "Who knows? Maybe someday, you'll see these in a 7-Eleven."